Vatican City, 11 January 2013 (VIS) - Cardinal Leonardo Sandri, prefect of the Congregation for the Oriental Churches, during his visit to Egypt (6–11 January) to celebrate the Year of Faith with the local Church, met with those responsible for apostolic events in that country. Speaking to them in Cairo this past Wednesday, 9 January, he said to the prelates and others present: "You are the ones who have made yourselves personally available to serve the Church and you have received the ecclesial task of committing yourselves, in faithfulness and constructive cooperation with pastors, so that the life of the Catholic community in Egypt may know how to efficiently announce the Son of God through sacramental life, catechesis, and charity—especially in charitable aid, in education, and in the concrete and daily service of our many brothers and sisters." "Doubtlessly," he continued, "you are experiencing the desert of this very difficult present situation. Perhaps we must guard against letting the desert advance in our consciences and our hearts precisely while we are trying to advance the Gospel. Do not forget that the Son of God's intense days were preceded and followed by an even more intense dialogue with the Father. … Let us also, dear friends, pause at the oasis of Elim spoken of in the book of Exodus so that, despite the serious worries that the present holds for Christians in the Middle East and in your own dear country, our faithfulness may be reinvigorated while embracing the beauty of friendship with God." Continuing, the cardinal recalled his meeting in Alexandria with the Egyptian Sisters of the Sacred Heart of Jesus and the Franciscan Missionary Sisters of the Immaculate Heart of Mary, emphasizing the "primacy of charitable action in benefit of the children of this nation". He observed that the construction of the church in Sharm el-Sheikh was "an exceptional example of Christian charity. Many contributed generously: the area's ecclesial community, the Pontifical Representation, and some assistance agencies belonging to ROACO (Reunion of Organisations for Aid to the Oriental Churches) of which the prefect of the Congregation for the Oriental Churches is president." "We cannot nor do we want to forget," he stressed, "Egypt's secular tradition: the heights of religiousness and culture that it has know and which must be confirmed in the present and the future: a culture ever open to the revelation of God. … Safeguarding and cultivating the faith in the cultural arena constitutes a privileged part of our pastoral mission and, perhaps, collaboration between the various centres that have for some time inspired the apostolic and missionary activity of this nation should be incentivized. 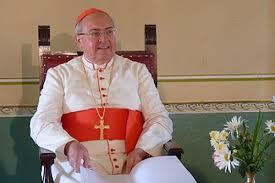 In conclusion, the cardinal entrusted the objectives of the Year of Faith, called by the Holy Father on 11 October 2012, to those responsible for apostolic events. "First of all, we are asked in grace to remain close to the life of the church and to participate directly in it so that we may grow in awareness of the gift we have received increasing, above all, our personal and communal sacramental life." 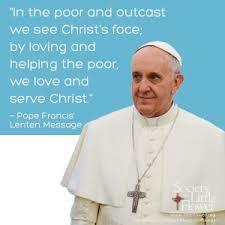 "In this way, we may share the Church's mission to all peoples. We are expecting a renewed missionary impulse from the Year of Faith because throughout the world the most diverse religions are meeting and facing one another. And we are hoping for the confirmation of the Church's presence in the world, with its due support and the defence of Christians who are not granted religious freedom. 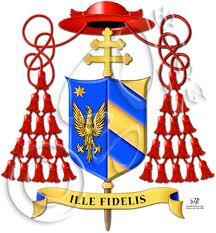 The ability to profess one's own creed must be guaranteed to everyone without exception, and thus also to Christians." Finally, the third objective of the Year of Faith is "to knock at the hearts of tired and indifferent Christians so that they might rediscover the joy of Christ and return to Him in order to have true and eternal life." Yesterday, Thursday, the cardinal inaugurated the church of Our Lady of Peace in Sharm el-Sheikh. Cardinal Sandri's visit also had the purpose of remembering the centennial of the founding of the Egyptian Sisters of the Sacred Heart of Jesus and the bicentennial of the founding of the Franciscan Missionary Sisters of the Immaculate Heart of Mary. The prelate also met with the Coptic Catholic Patriarch of Alexandria, Cardinal Antonios Naguib, and with bishops in Egypt. Likewise, in the sphere of relations with the Orthodox Churches, Cardinal Sandri met with the head of the Greek Orthodox Church of Alexandria, His Beatitude Pope Theodore II, and the new head of the Coptic Orthodox Church of Alexandria, His Holiness Pope Tawadros II.